I've used this stand now 4 times since purchasing it. I think it's the best stand out there and won't fall over even in significant winds/breeze, that's is a big plus for me. Stand stays rock solid and stays put and doesn't move, really aids in zero'ing long guns due to the stability. I cannot think of anything to add on this stand to make it even better, maybe a metal top cross member to fit over the wooden uprights, but I've just clamped on another wooden strip. I have several friends that have seen it and will more then likely be purchasing one themselves. I'm sure glad I waited buying other stands and searched around on the Internet and found yours, think I would have been sorry if I purchased another brand. 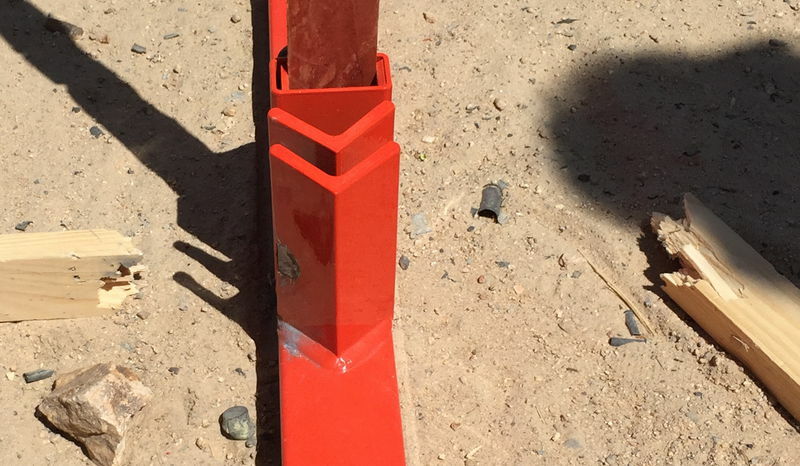 A welder friend of mine saw your stand and said the quality of workmanship was top notch and for the price was an outstanding buy. Thanks for making a quality Made in the USA product. 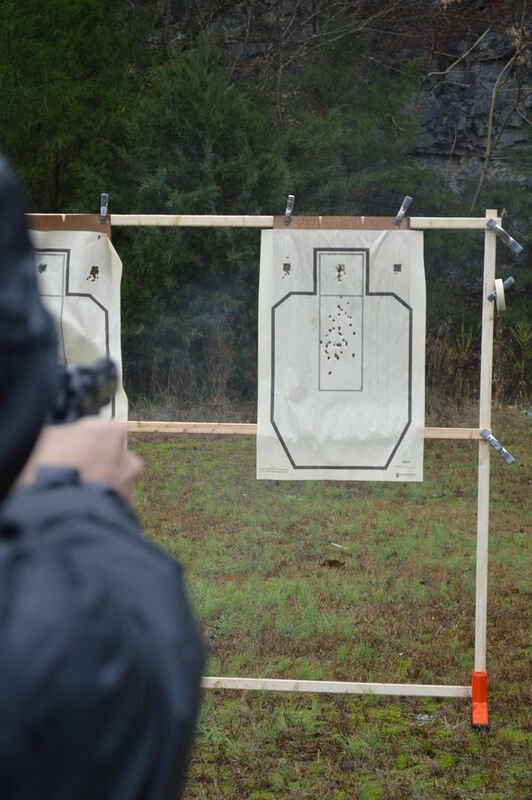 I was finally able to go shooting this past weekend. I used the Dirty Harry stand and it worked out great. 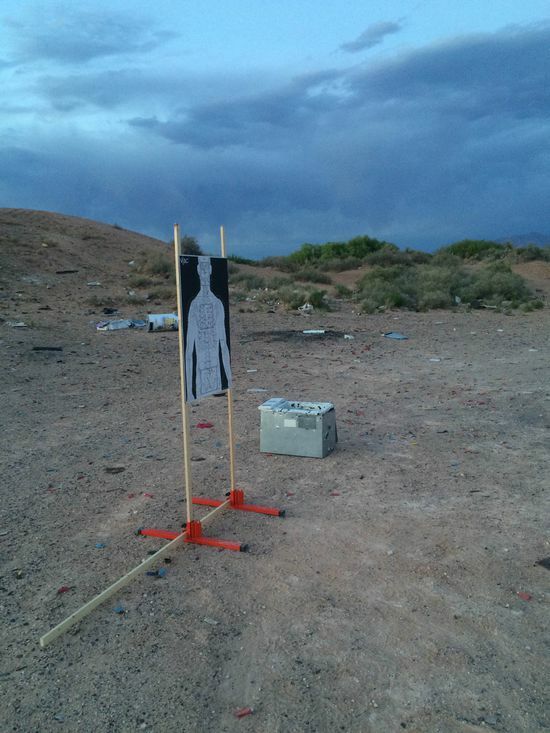 There was only one gust of wind that knocked my target over, but that was remedied with a couple of sand bags. A friend of mine was with me and we both appreciated the genius of the Dirty Harry's design with the built in, adjustment free vertical furring strip slots. My friend was amazed at how stable it made the target. We also enjoyed the versatility of being able to go from a full size VTAC target to an IPSC target rapidly and easily. Definitively the best target stand I've ever owned. A quality product, superior customer service, reasonable prices, and fast shipping - you've earned a life long customer in me. Thanks and check out the attached photos. 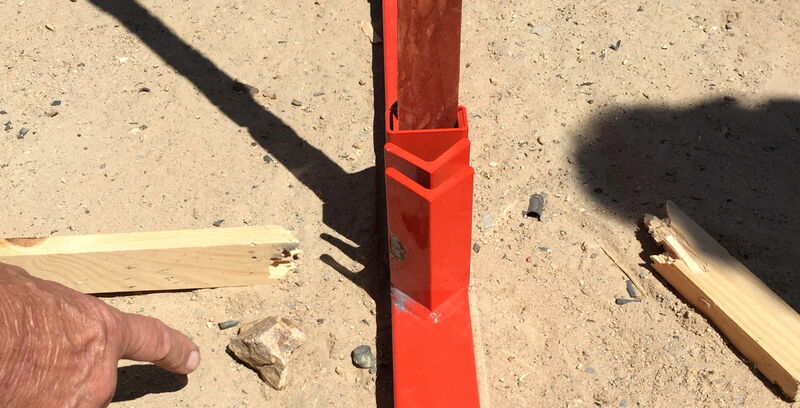 I'll send you better pictures down the road along with photos of the different ways I'm thinking of using the stand. 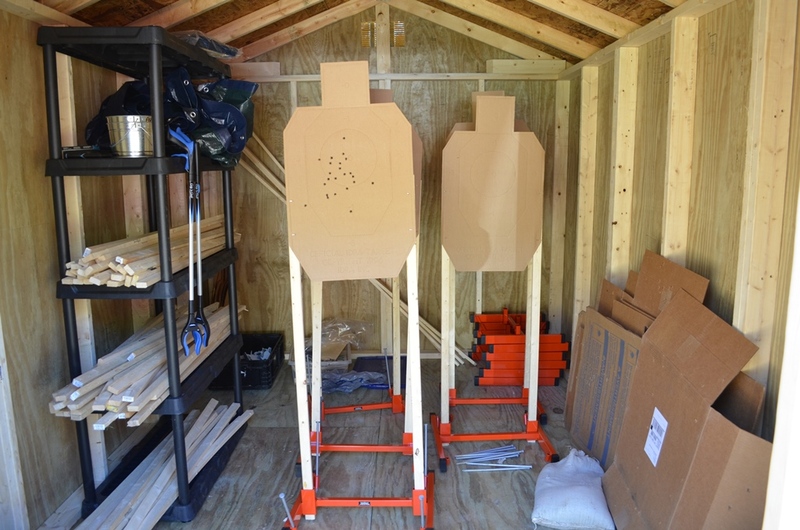 After winning a $3,000 range grant from the NRA in 2014, the Ashe County (N.C.) Wildlife Club was able to purchase 12 of the Wyatt Earp target stands, and a wooden storage building in which to keep them. We replaced our shot-up wooden 2x4s that held shot-up heavy rubber backers. 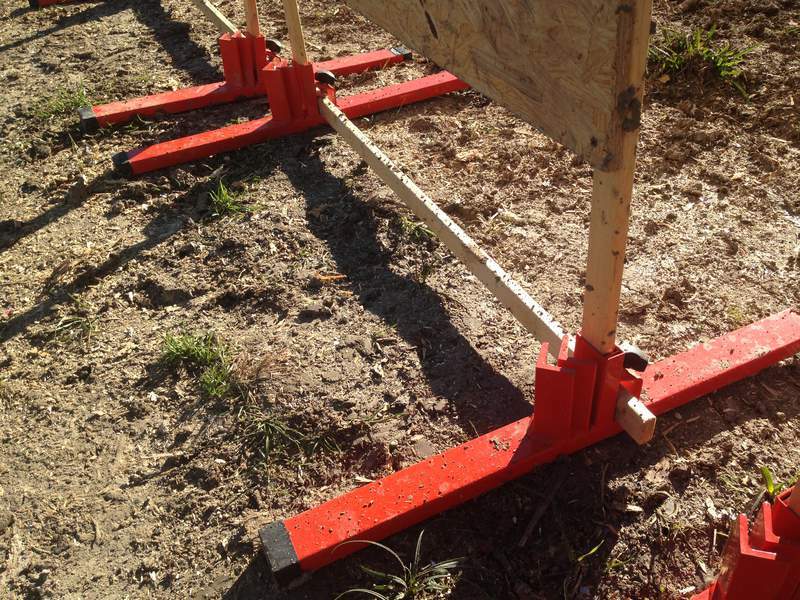 We chose the Wyatt Earp stands because they were portable and easy to use; just put two furring strips in the frame, staple backers and targets to the strips and you can start shooting. We would recommend these stands to any club or individual. 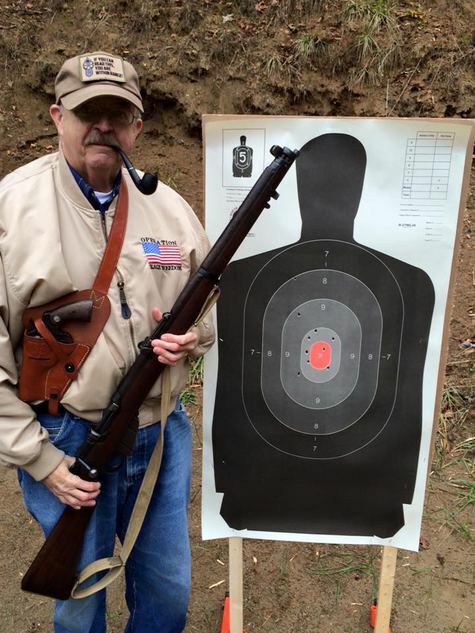 Ian McNeil with a WW II Springfield M1 Garand and Raymond Robinson with his 1914 Short Magazine Lee Enfield. 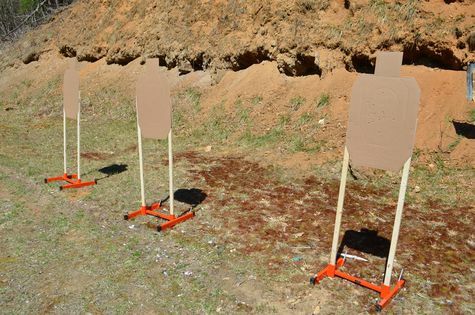 I actually put it up on some rocks at the back of a rock pit for a 100 meter distance, used 4-foot poles, and put two 18"x18" targets on it, one above the other, with a cardboard backing on the top one for stability. I LOVE this stand! 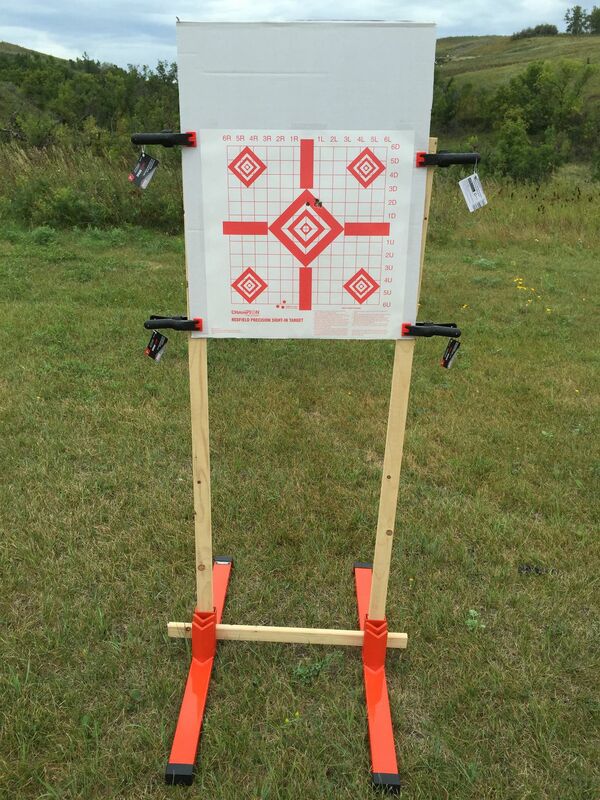 SOOOOOO much easier to use (and carry) than what I've been using, rock solid, and totally variable for different size targets. Well done - THANK YOU!! Even though I'm returning an item and it didn't work out this time your product appears to be very high quality and very well designed. I want yall to know that your customer service is amazing and will defiantly be purchasing from yall in the future. I used the wyatt earp a few times, and it is an outstanding product, and I would recommend it to everyone. I have to congratulate you on the design. I am totally surprised how well my Dirty Harry stand works. I have never seen a stand hold up to these northern Nevada winds. Your stand passed with flying colors. 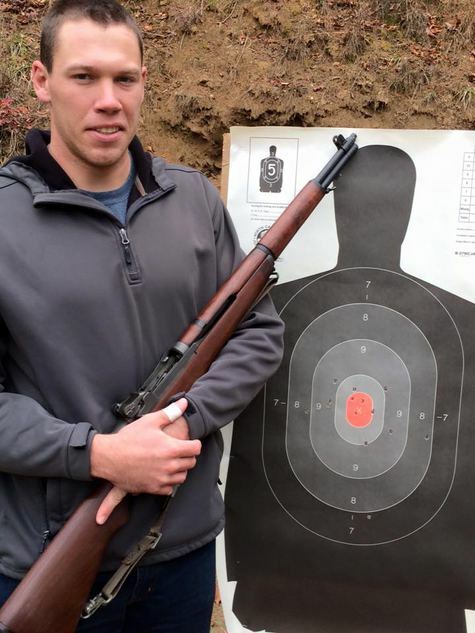 I had the target stand out to bore sight a rifle last Friday. Went to do some running around and left the stand out. We were hit with a nasty storm that knocked down my fences. It also took out one of my trees. 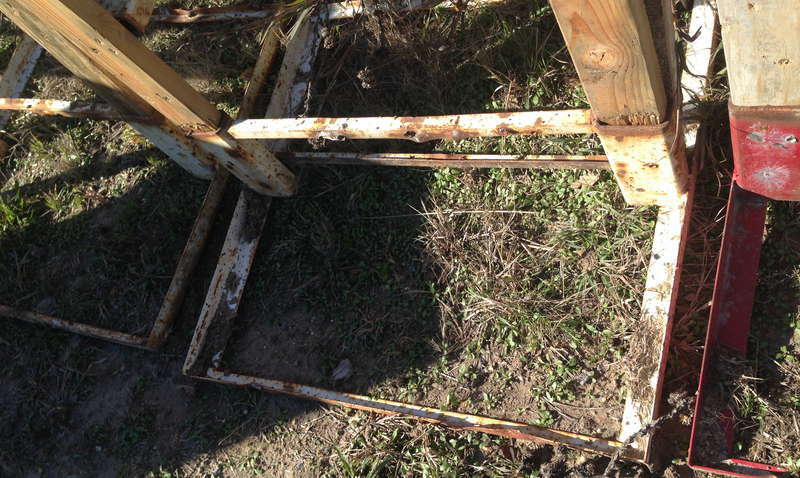 Your target stand was still standing. My old stand would have been in Utah. It is an honor and a privilege to share our customers' thoughts. Having the opportunity to build something useful and receive praise from its users is a truly rewarding experience. I cannot give enough thanks to all of our customers for supporting our small business.